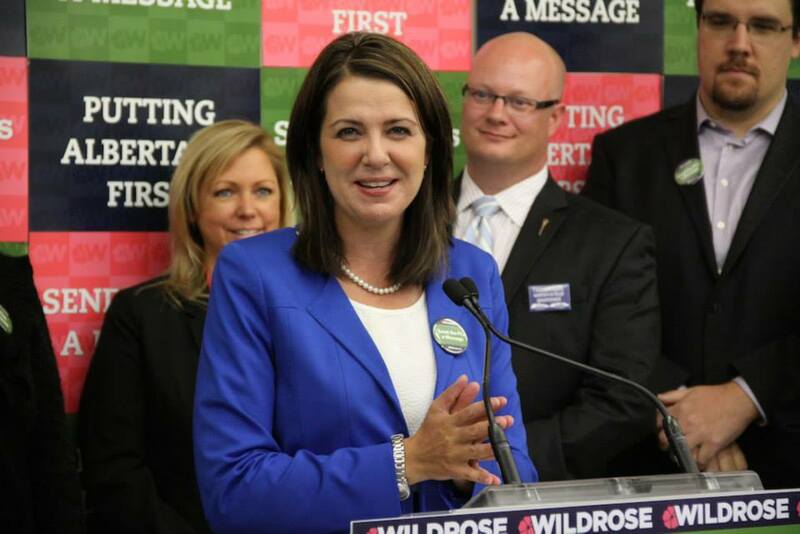 Danielle Smith, leader of the Wildrose party, put her leadership on the line after failing to capture any seats in the four Alberta by-elections. Her leadership review was to take place in mid-November, well ahead of the leadership review scheduled to occur after the 2016 election. Ms Smith’s decision appeared, at first blush, to be a risky gambit. However when analysed in the context of Robert Greene’s 48 laws of power, it was an act of political survival. Greene’s best seller, The 48 Laws of Power, analyses the actions of powerful people (strategists, statesmen, courtiers, seducers and con artists) over the last 3000 years and distills them into 48 immutable laws. The premise of the laws is this: certain actions increase one’s power; other actions decrease it and those who bungle it completely are ruined or dead. Law 29: Enter action with boldness. Danielle turned the rout of her party into an opportunity to solidify her mandate as leader. Some considered this unnecessary in light of her 90% leadership approval rating in 2013, but the only way for Danielle to crush speculation about her ability to lead was to put it to the test. Law 31: Control the options. Get others to play the cards you deal. Political strategists, party insiders and the media relished the thought of spending the next few weeks debating a single question: is Danielle capable of leading the Wildrose to victory in the next election? Danielle changed the conversation…and pundits and politicos who expected to play a game of 5 card stud found themselves at the blackjack table…with Danielle as the dealer. Law 35: Master the art of timing. David Taras, a Calgary political scientist, described Danielle’s decision to seek a leadership review as a pre-emptive strike, noting that by getting “ahead of the curve” she demonstrated good political instincts. If nothing else, she certainly caught her detractors off guard. Anyone hoping to unseat Danielle Smith in a leadership review would immediately recognize the need to tread carefully—failure to obey the laws of power jeopardises the political careers of those who’d like to become leader one day and, more importantly, threatens the existence of the Wildrose party itself. Law 10: Infection. Avoid the unhappy and unlucky. A leadership review would embolden the unhappy hordes harbouring past grievances. Danielle’s decision to side pocket the party’s evangelical social policies is one example. In the game of power miserable people make tactical errors that could seriously damage the party. Law 27: Play on people’s need to believe. Wildrose party members need to believe that their defeat in the by-elections was simply the result of poor campaign strategy and inept execution. They need to be convinced that their policies continue to resonate with Albertans and that with a lot of hard work the Wildrose will form government in 2016. A leadership review would shatter this belief by exacerbating the friction between the ideologues and pragmatists and driving members further apart instead of bringing them together to work towards success in 2016. Robert Greene says the 48 laws of power are timeless and definitive. They dictate that no one will unseat Danielle Smith. In fact they won’t even try. On Nov 2, 2014 Robert Greene was proven right. Rob Anderson, the Wildrose Opposition House Leader, put forward a resolution to withdraw Danielle Smith’s request for a leadership review. 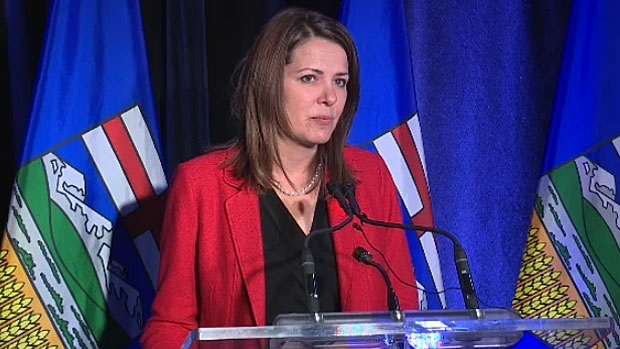 The Wildrose caucus voted on the resolution and were united in its support of Danielle Smith as leader. Nicely played Danielle, nicely played. This entry was posted in Politics and Government and tagged 48 Laws of Power, Danielle Smith, Rob Anderson, Robert Greene, Wildrose. Bookmark the permalink. If Smith wants to go any further, she needs to support section 11.1 of the Human Rights Act, one of the most progressive policies ever enacted by the legislature. Brian, I agree. I wonder whether the rift between the right and the far right is what Joe Anglin was referring to when he said the WR party was divided between the ideologues and the pragmatists. I suspect the ideologues hold fast to their evangelical values while the pragmatists are prepared to sacrifice them (at least temporarily) if it means they’ll get elected in 2016. I am not a big fan of any kind of theories that try to explain the unpredictable. One can figure out probabilities of what may happen but that is about it. Throughout history and the world right now, Robert Greene laws probably mean nothing rather than in North America where life has been until recently as stable as universally possible. It seems to me that the Wildrose may implode before it has a chance to seriously challenge the PCs. It is a very unstable party and the reason of its foundation, I believe, was to be more on the evangelical side than the pragmatist side. We saw that in the last election when a couple of Canadian Glenn Becks thought the party was still committed to its true roots and blared out their true convictions that were hard to swallow even in Alberta. The stigma of those statements has stayed with the party and I think that Danielle Smith will not be able to change that and will not even be able to contain that evangelical side from taking over what was original theirs. In other words the Wildrose may very well implode and become just a nice thought in the future. I think the reason Danielle Smith had a 90% approval rate in the last leadership review is because the ideologues, just like all other ultra conservative parties, thought that her softer approach would allow them to get in and then just like Harper and Mafia, they would change Alberta to the Bible fundamentalist province they so much hope for. Carlos I expect that we’ll hear more about the rift in the Wildrose party from Joe Anglin who is not the least bit shy about sharing his views on any topic. My friends in the Green Party have all sorts of stories about how he took over the party and then abandoned it at the last minute to join the WR. It’s odd because Joe really believes that Alberta, like all jurisdictions, has to get serious about managing climate change. He told me that the biggest opponents to his climate changes policies were the articulate members of his own caucus (not surprising given the WR’s early position on the issue). In any event it seems to me that the WR caucus and executive realized that now was not the time to stage a leadership review, what with Prentice’s shiny “new” PC party just waiting to bowl us all over with how wonderful our lives will be “under new management”. Sorry that was sarcastic. One has to be sarcastic these days, otherwise politics is boring. No discussion, no democracy and the same old same old spin. So with the Wildrose going into turbulent times, the Liberals and the NDP not being able to talk to each other in any serious way and the PCs giving away candy at Halloween levels to win the election, we already know what is going to happen in 2015. Another 4 years of helping the struggling oil corporations move billions back to their headquarters everywhere on Earth while Albertans face probably more cuts once they get into office. Humans are definitely not the smartest species on Earth. We are simply the biggest predators. Susan forgot to say on my previous post that I fail to understand how Joe Anglin can go from the Green Party to the Wildrose? I am not sure anyone can trust this kind of change. The only other one I heard worse than this is F. de Klerk, the leader of South Africa that imprisoned Nelson Mandela, to become a member of ANC once Mandela became president. What we need is a true conservative government, one that respects firearms rights and lobbies for the federal government to allow carrying and concealed permits. Only then will we be safe and free. Yes our friends to the South have already experimented that for us and the results are not really that safe and free. Carlos and Stephen: on the topic of guns (sort of) I note that the Democrats up for re-election in the US midterms are working really hard to distance themselves from Obama. Demoocrat Alison Lundergan Grimes is running ads in which she’s seen shooting clay pigeons and saying “I’m not Barack Obama. I disagree with him on guns, coal and the EPA. And Mitch (he’s her Republican opponent) that’s not how you hold a gun”. Then the ad switches to a clip of Mitch McConnell waving a rifle at a conservative conference. Sad to think that when there are so many important issues that deserve discussion the midterm election may turn on who knows how to hold a gun. This reminds me of Rob Anders’ comment at the memorial for the soldiers killed in Quebec and Ottawa. He said if we trust the military and the police to have guns and ammunition on duty we should trust them off duty as well because “If you want to stop bad people with guns, you have to make sure that good people have guns too.” Very sloppy analysis–being armed “on duty” is a job requirement, it has nothing to do with being “good” or “bad”. Interestingly, Cpl Branden Stevenson, the guard who was on sentry duty with Cpl Cirillo the day he was killed (and who’d been Cirillo’s best friend since Grade 9) had this to say on the issue: “I still believe Canada is a nation of peace where soldiers within its borders need not take up arms”. So, not surprisingly, I’m with Carlos on this one.